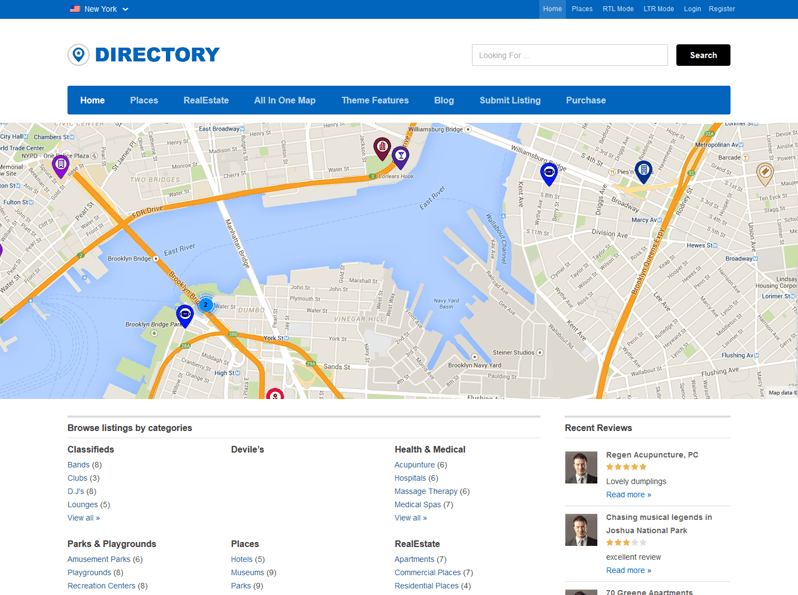 Directory is a massive theme and comes with hundreds of features across multiple plugins. However, along with all that we’re also providing lots of secondary content… stuff that isn’t included inside the theme itself, but useful nonetheless. On this page we’ll outline the most important resources for every Directory owner. So, let’s get started! The ‘Free’ directory child theme template is there to save you from the hassle of creating a child theme for customizing your parent Directory theme. Consisting all the required files for a child theme, the template lets you over-write the files of the parent theme without actually changing or updating it. Keep your parent theme files intact and get the changes reflected by just tweaking the child theme and overcome the fear of losing your customization on updating the theme/plugins. This has its own benefits. Read the Directory Child theme template guide to know more what it has to offer. You can extend functionality of your Directory website by using these free add-on plugins and other resources. Bulk Import/ExportBulk Import/Export allows you to populate the site with a lot of content in a short amount of time. If you already have a lot of content, this feature also allows you to export it. Both import and export work with CSV files. 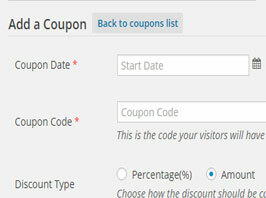 Coupon ManagerInstalling this extension will allow you to create discounts for your own price packages. This is great when running promotions (like for Christmas or Black Friday). 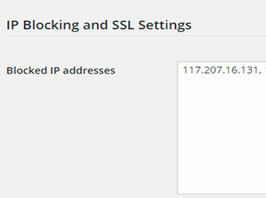 IP BlockerThis extension will allow you to block specific IP addresses from your site and also implement SSL for the registration and submission pages. User filters for MailPoetUser Filters is a totally free plugin that will allow you to better specify which users should receive the email or newsletter you are sending. 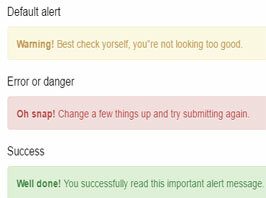 It works on top of the popular MailPoet Newsletters plugin. 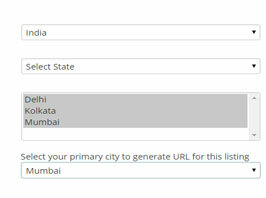 City PermalinkThis free add-on will allow you to select a primary city(it will be used in the URL of that listing) for your listing which is set to display in multiple cities from backend. ShortcodesStyle your pages and posts with dozens of different callouts, buttons and awesome designs. Click here to download the plugin. For instructions on how to insert shortcodes open the following page. Mega MenuUse this plugin to create multi-column menus like those displayed on our demo sites. For download and usage instructions just open this article. Free Map Icon SetsOne of the cool features inside Directory is the ability to upload custom icons/markers for the map. 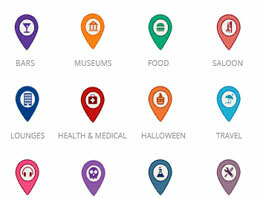 To save you the trouble of searching for appropriate map icons, we’ve created few of our own icons which you can use. Showcase Directory in multiple languages using this premium WordPress translation plugin. Add meta tags for each listing, event, page and post + bunch of other stuff. Create new and awesome contact forms for your site using any one of these popular form plugins. With ZM Ajax Login & Register, you can create a custom login and registration page. Speed up your Directory website using any one these awesome caching plugins. Sell digital and physical products on your site. If you have Events add-on installed, you can use WooCommerce to sell tickets for your events. It is a powerful WordPress widget that allows you to create powerful restaurant reservation forms for your website. Easily configure reservation forms that will look and function amazingly. Display Google Analytics stats directly inside your WordPress dashboard. Give listing owners the option to manage reviews submitted for their post; charge extra for this ability. Allow visitors to attach images with their comments. Just getting started with WordPress and our Directory themes? Don’t worry, we have created this list of tutorials you can refer. It will definitely help you get started with setting up your website. How to translate the Directory theme? Getting strange signs in your translations? Tutorials under this section are related to the configuration of the Directory theme, some useful tips are shared in these tutorials which will surely help you build a better website with our Directory based themes. How the Search by Miles Range(Filters by mile) widget is supposed to work? How to display a unique city message in a text widget or in a page? Custom user registration form for new users. Setting compulsory custom fields on submission form. Creating custom post type for users’ submission. Why the Events I have added are not appearing in front-end? How to use custom fields in advanced search on your directory theme? How to create a Facebook App for enabling Facebook login? Tutorials under this section are regarding the small code tweaks which extends the functionality of your Directory theme powered website, we highly recommend that you go through this list of customization tutorials. There will be that one customization that you always wanted to do on your Directory theme. How to disable marker refresh on map while scrolling? How to localize Google Map in Directory theme? How to show primary menu as a sticky menu in Directory theme? How to keep different logo images for each city in Directory theme? How to change the size of image thumbnails on listing page? How to enable infinite scrolling on Listing category pages instead of the traditional pagination? How to remove post tab from Author page in directory based themes? How to customize submit listing page on your Directory website? If you’re creating a large directory, the ability to quickly populate it with cities is extremely beneficial. To make this happen we created a forum thread where each member can share their CSVs. To entice members into sharing, we’re offering a free add-on of your choice for every CSV submission. Similar to how city CSV sharing works, we’ve also made it possible to share your translations and get rewarded for it. Each member that shares his/hers fully translated file gets rewarded with a free add-on of their choice. Visit this forum thread to read more about how you too can share a translation file. To make customizing Directory easier, we are actively indexing customizations done by the staff and regular members inside our forums. An index of existing tweaks is available in this article . Along with that thread, we also have a number of general tutorials on how to customize themes, including How to use Firebug and a tutorial about custom.css. If you have experience with developing plugins and a good idea for a Directory add-on, why not creating it yourself? To help you with this, we made multiple developer guides that explain the in-and-outs of Directory. If you’ll have any questions about this, just submit a ticket through this link. If you purchased GeoPlaces or Nightlife sometime in the past, Directory is available at a lower price. With the discount, the standard license price is lowered to $60, while the developer price is lowered to $120. For details on how to get this discount visit this blog post. This is one great article shared by one of our user on how you can strengthen the security of a Directory website, it explains everything in detail step-wise. Directory is our most popular project so we keep updating it, and we are always listening to your suggestions. If you have any feature request for Directory post it here. We created an optional app like mobile view for Directory2, It gives the site a feel like an app when it is surfed on mobile devices. Have a look at article to know more about the mobile app view. If you are upgrading from Directory 1 to Directory 2, don’t forget to have look at this informative guide . Here’s a list of some frequently asked questions for Directory theme with their detailed answers. We recommend you to take a look at the list once, it might answer that one question you were having for a long time now. Not able to upload image on your site? No Password field on Sign up? How do Recurring Charges feature works? Facing Fatal errors or Blank Screen? You think we should write a tutorial on a particular topic regarding Directory? Write to us here to request a tutorial. We are encouraging Directory users who have built a successful Directory website using our theme to share their stories so that other users can learn and take inspiration from them. You can share your success story with Directory theme too, write to us here. Recently we have published some articles on our blog which includes articles about how you can make the most of your Directory website, it gives you insights into the business part of the Directory websites. It also has case studies of successful websites created using our Directory platform. Directory Business listings will go back to published automatically when subscriptions are renewed. Note: ALL child themes are part of club membership. You are able to download one bonus plugin per month under your club membership. Join Our Club Membership. Directory is our most popular platform that encompasses a parent theme, various plugins and a wide selection of child themes and add-ons. It is the most advanced system we’ve ever created with literally hundreds of custom features. Have a look at these add-ons to know more about how you can extend the functionality of Directory with these add-ons. Help us make this page more resourceful! Do you think we are missing something very important on this page? Do you think we should write new tutorial on a particular topic for this page? Please write to us here.